Zion National Park makes an excellent getaway any time of year. 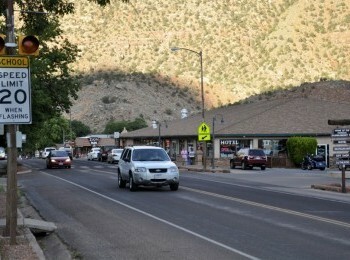 When you stay near Zion, there are a variety of lodging options available, including standard hotel rooms. The area is sure to have something that will fit your budget and accommodate the size of your group, whether you are visiting with just you, your significant other or your whole family. Most Zion/Springdale hotels offer amenities such as cable TV, swimming pools, hot tubs and free continental breakfast, but one of their best amenities is their picturesque location at the base of Zion's towering monoliths. 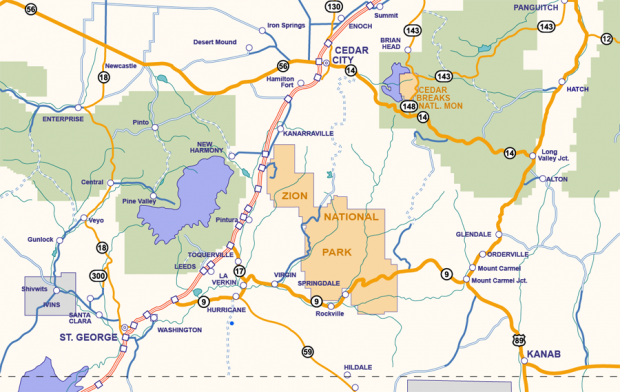 Because Bryce Canyon is so close to Zion National Park many it's easy to visit both magnificent areas. If this is your plan we have included some listing for Bryce Canyon Lodging also. Or you can of course just visit the Bryce Canyon National Park page.